New Year’s Eve is one of the biggest party nights of the year. Everyone has their own tradition for this holiday, whether it’s grabbing some drinks and watching the ball drop or a festive family party. But, what if you’re looking for something a little more exotic? We have found some of the most peculiar New Year’s Eve traditions from around the world. If you want to play with fire or smash some plates, these countries have a unique holiday tradition for everyone. If you’re heading off to one of the biggest New Year’s Eve bashes in the world, make sure you’re in on Brazil’s most important traditions. Some of the craziest parties in this South American country happen on the beautiful beaches of Rio de Janeiro. Don’t be alarmed when you see party-goers out in the water jumping over waves at night. Brazilians say that jumping over one wave each time you make a New Year’s wish (seven waves total) will increase your good luck and your wishes will come true. Besides wave jumping, another popular tradition is wearing a primarily white outfit for luck. 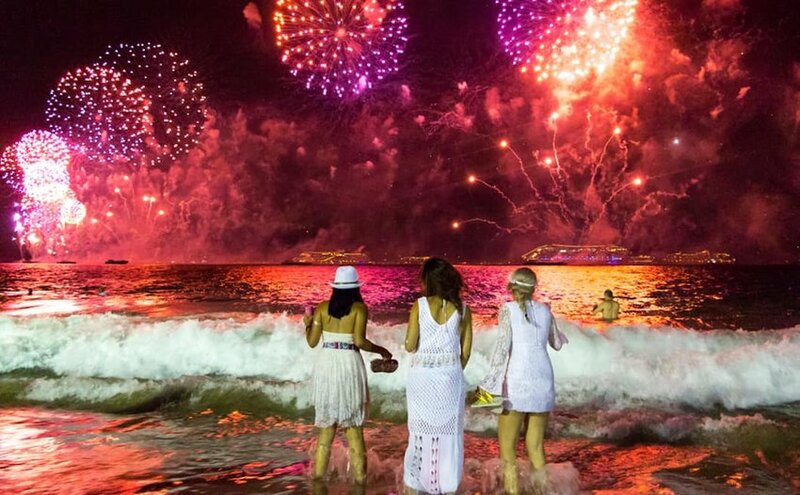 Be sure to pack your swimwear and your white party outfit when you head to the beautiful Copacabana Beach to ring in the new year. If you’re visiting this Scandinavian country for the holiday, be sure to wear some close-toed shoes. In Denmark, it is tradition to smash plates on your neighbors’ houses as a sign of affection. These plates are thrown after midnight for good luck and whoever has the largest pile in the morning is said to have the most loyal friends. Similarly, in the Netherlands, Dutch children bring a small pile of broken pottery to their neighbors’ doorsteps with the same intent. If you’re looking to smash some plates, downtown Copenhagen is a beautiful city to spend your New Year’s Eve. The heart of the city boasts fireworks, great food and beautifully decorated buildings — just be sure to watch your step for broken pottery. Mexico — home to white sand beaches, delicious food, ancient ruins and... empty suitcases? 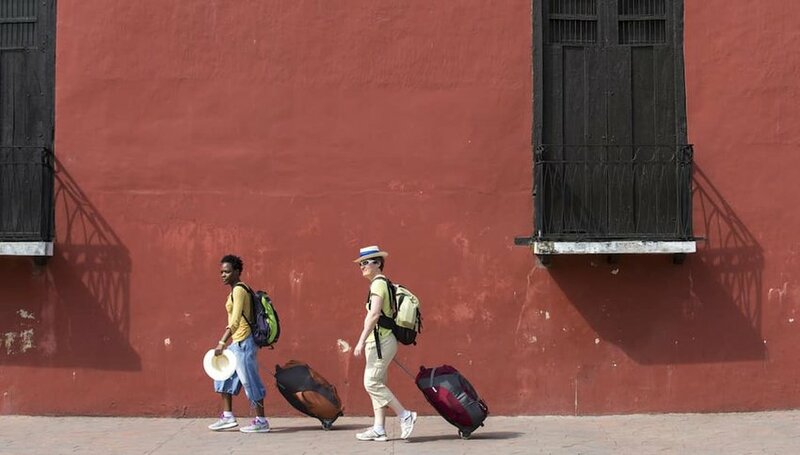 Tradition says that walking your empty suitcase around the block will guarantee a year filled with travel and new experiences. This tradition is popular in other Latin American countries and is perfect for all of you “wanderlusters”. Locals will also toss a glass of water out of their window to signify fewer tears in the future. A year of good travels and no tears — it sounds like Mexico has the right idea. So, if you find yourself on a beach in Playa del Carmen on New Year’s Eve, make sure to grab a drink and empty your suitcase to celebrate the local way. Looking to redecorate? You might want to take some pointers from the South African locals and throw your unwanted furniture and appliances out of your windows and onto the street. Locals say that this brings them a fresh start to the new year. The tradition is a bit dangerous, as even refrigerators were thrown out of windows, so the tradition has calmed down a bit. Small towns and large cities alike have celebrations all through the night on this holiday. Whether you want to visit a beautiful wine region, go on a safari or throw a table onto the streets — this African country has what you need to have an unforgettable New Year’s Eve. 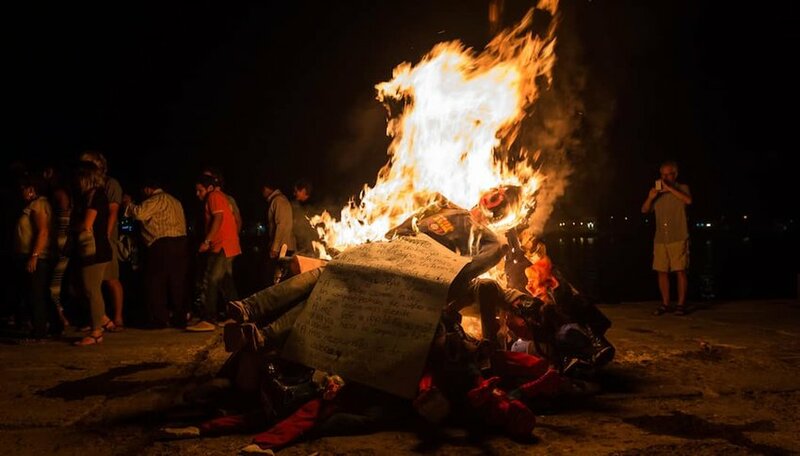 Perhaps the eeriest tradition out there, locals in this South American country burn scarecrows, or effigies, to dispel any bad vibes from the past year. Sometimes, they are dressed to resemble people that they dislike and are then burned as a symbol of “forgiving and forgetting”. Families make their scarecrows together as a fun bonding activity and the atmosphere is light-hearted — even if the effigies look terrifying. The scarecrows are often accompanied by photographs or messages of negative things that represent the past year. Besides the fires, every city in Ecuador throws high-energy parties with music, drinks and dancing late into the night. Whether you’re visiting picturesque Quito or bustling Guayaquil, you’re sure to have the most unique New Year’s Eve celebration yet. In this Southeast Asian country they are obsessed with all things round on New Year’s Eve. Circular objects are thought to be sacred and to bring good fortune to your household in the new year. Coins in pockets, polka-dotted clothes and round foods like grapes and oranges are all examples of things you will find in every household during this holiday. There is much more to see here than just coins and grapes. Manila, the capital city of the Philippines, is home to beautiful Spanish colonial architecture and an awesome fireworks show on New Year’s Eve that you won’t want to miss. Don’t visit Scotland for New Year’s Eve if you aren’t ready for some heat. 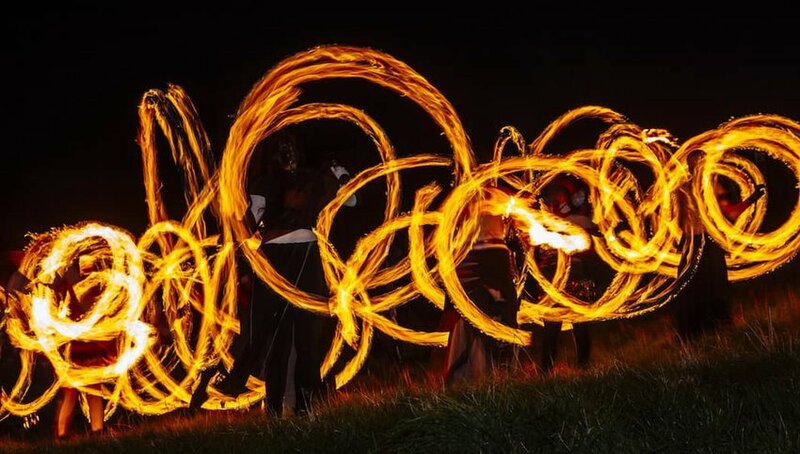 Join the locals for Hogmanay, a traditional celebration that incorporates fire into the festivities. Larger cities like Edinburgh have torchlight processions where locals march together in the streets to bring in the new year. However, the real thrill happens at midnight in the city of Stonehaven. Here, Scots dressed in kilts wave poles with fireballs around while they parade through streets filled with spectators. They use the fire as a means to purify the new year. The spectacle ends in the scenic town center near the harbor when they toss their fire sticks into the sea. Visit a castle, have a drink and watch the sparks fly in one of these beautiful Scottish towns. Historic Cartagena on Colombia’s Caribbean coast is a beautiful choice for New Year’s Eve — complete with palm trees, white beaches, fireworks and bright yellow underwear. If you’re traveling to a country in Central or South America for the holiday, be sure to pack your brightly colored undergarments. In many of these countries, like Colombia, wearing red or yellow undergarments on New Year’s Eve can increase your chances of finding love or luck in the new year. Yellow is by far the most popular color choice, and if you forget yours, don’t worry — they even sell them on the streets before the holiday.